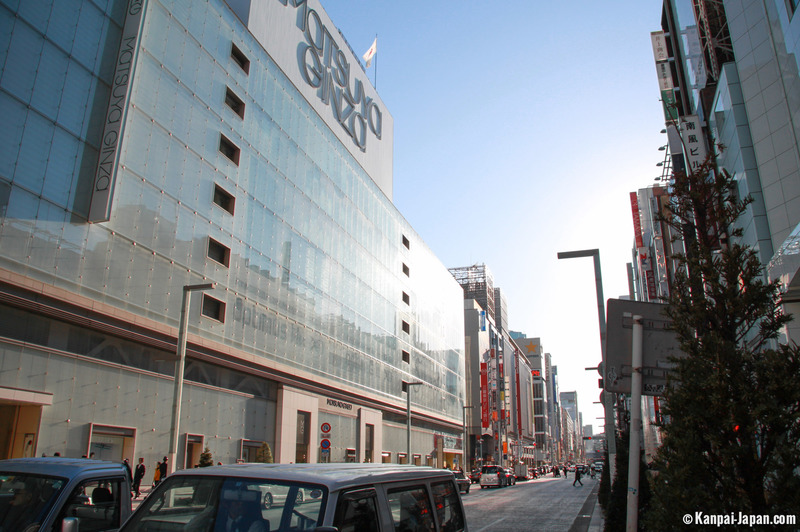 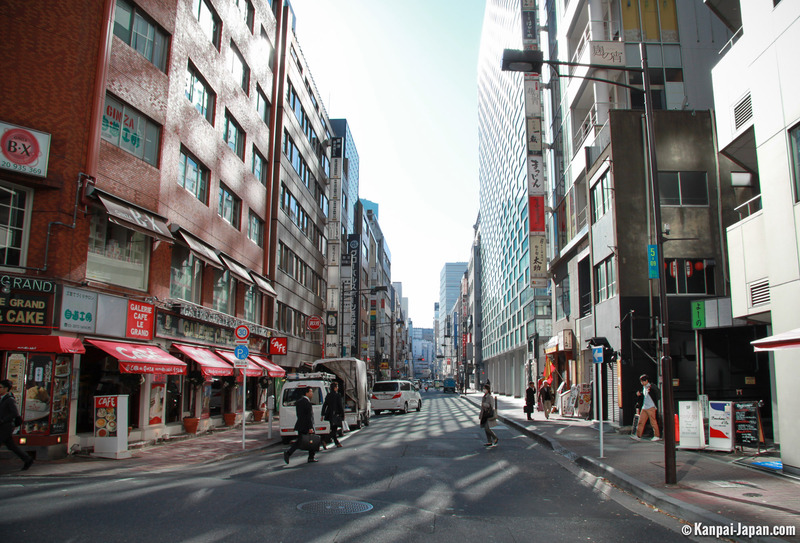 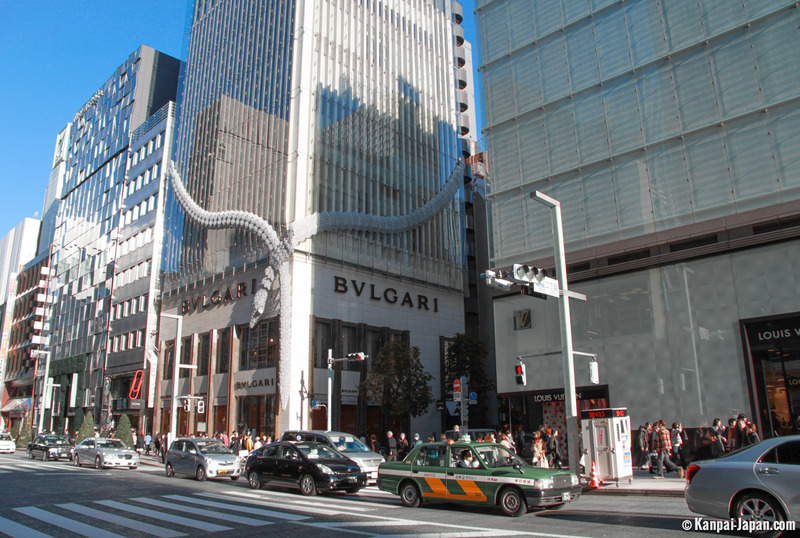 Ginza is one of the most famous districts of Tokyo, mainly for its high-end appeal. 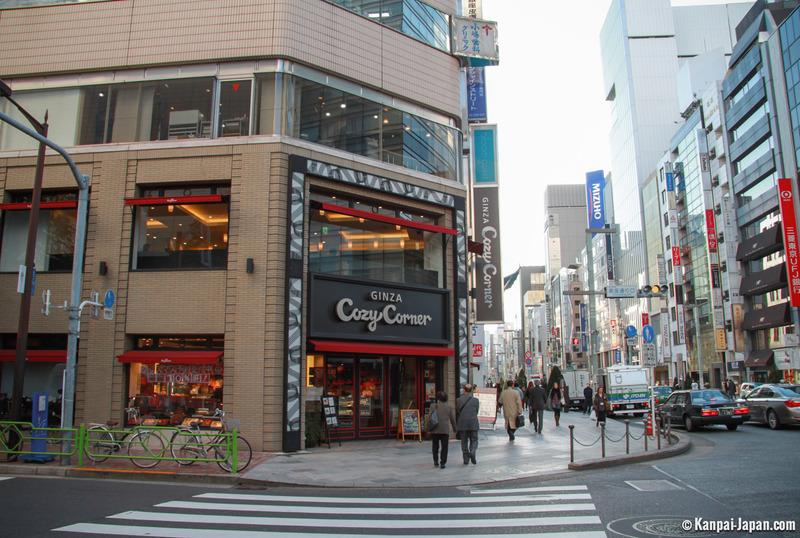 Known for its luxury shopping in the Japanese capital, Ginza doesn't forget, of course, many great restaurants and nice cafes, and an interesting alternative to Roppongi in high rates nightclubs. 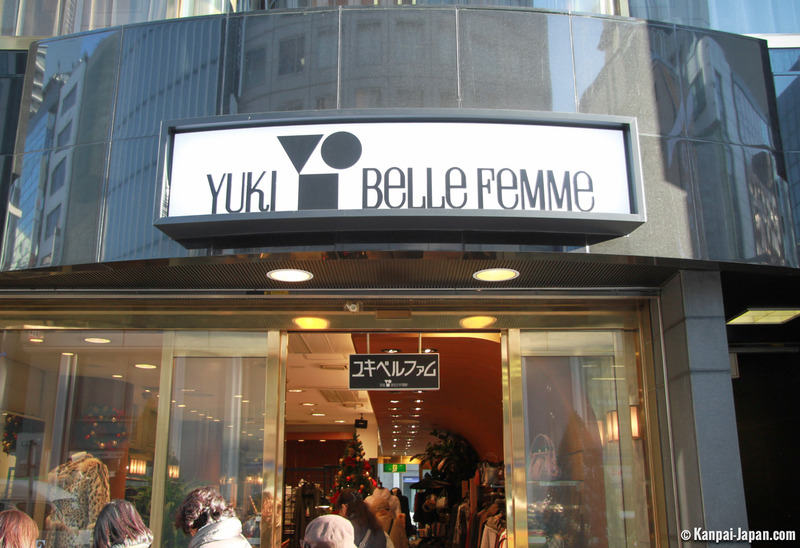 This agglomerate explains the nickname of "Japanese Champs-Élysées" sometimes given to the neighborhood. 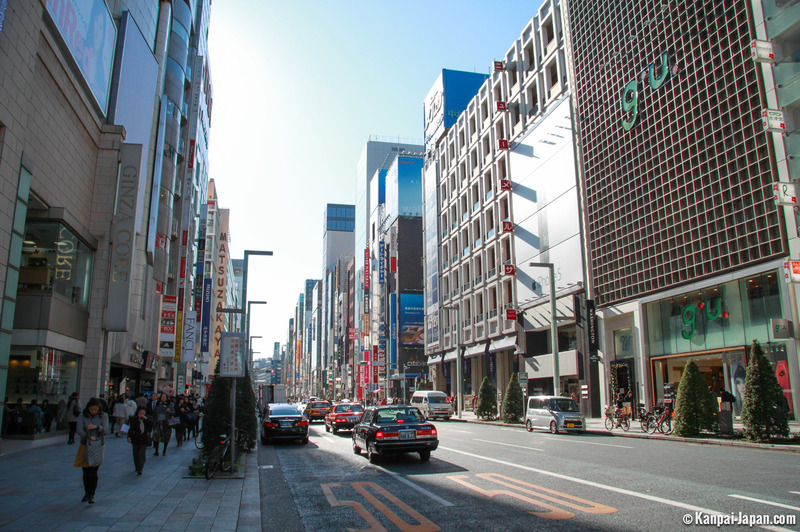 If real-estate in Tokyo is expensive regardless of where you look, Ginza tops every other borough with square-meter prices reaching up to ten million Yen without blushing. 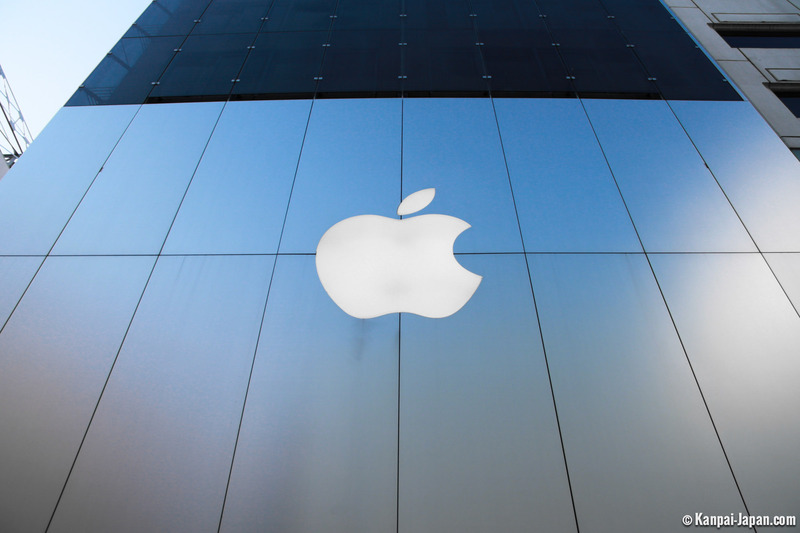 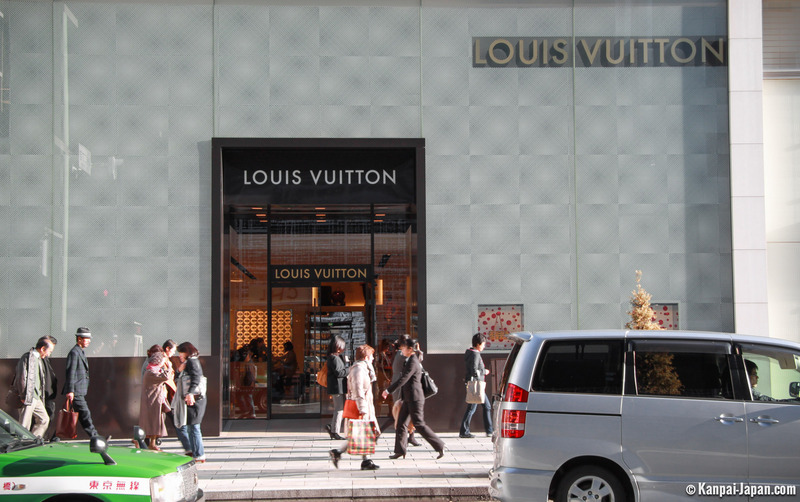 Cause or consequence : many luxury brands of the world struggle to settle there. 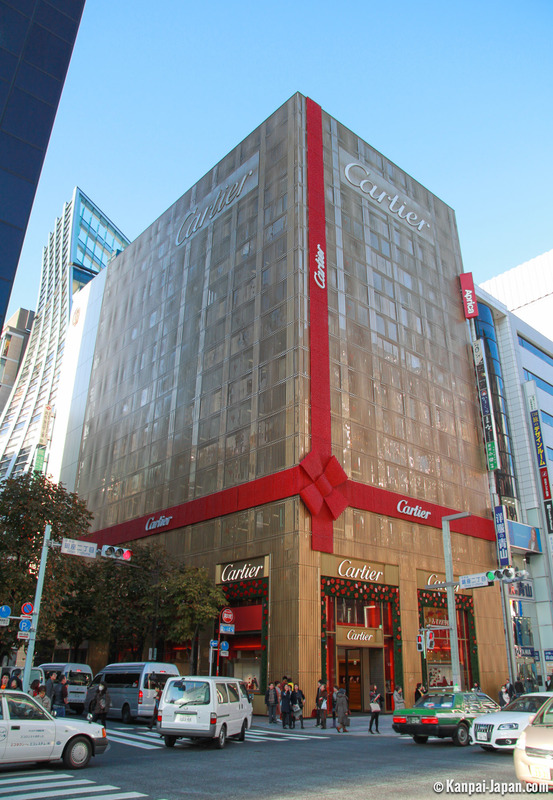 Thus, a trip to Ginza gives you the opportunity to visit the shops and showrooms of brands such as Dior, Cartier, Louis Vuitton, Mont Blanc, Chanel, Prada, Burberry, Chaumet, Hermes, Adidas, Armani, Bvlgari, Zara or Apple. 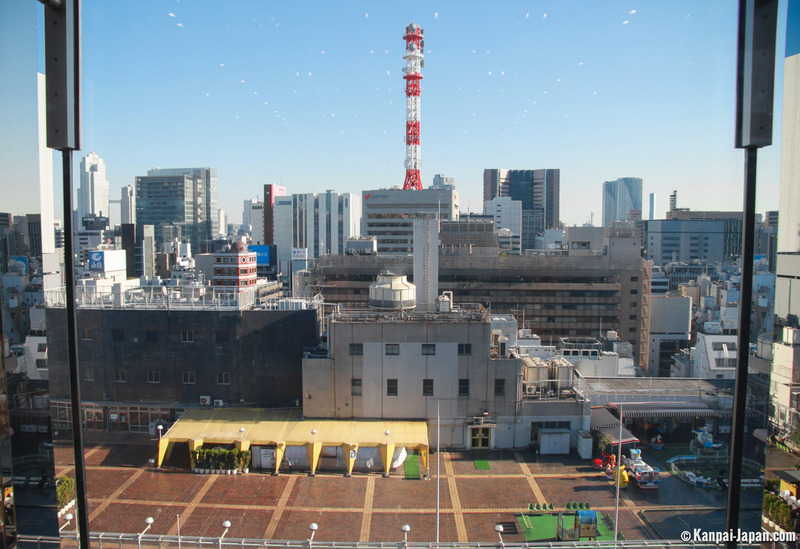 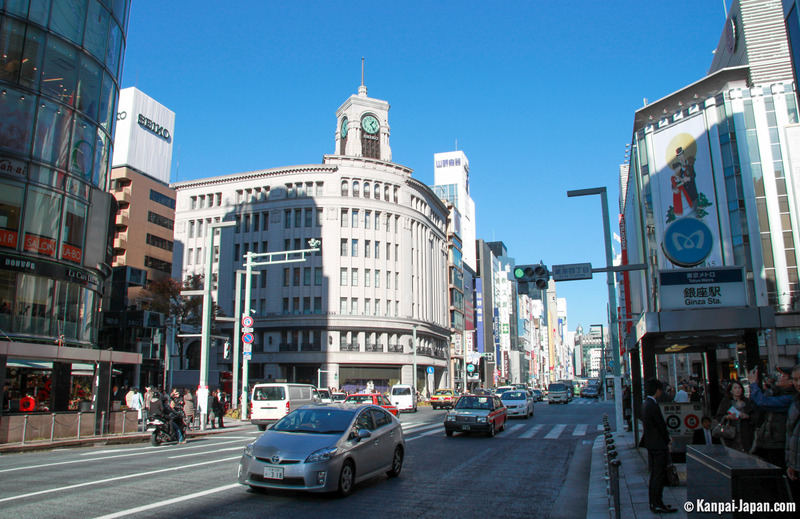 But japanese brands are not left out, starting with Wako whose symbolic clock dominates the main intersection served by the eponymous Tokyo Metro station. 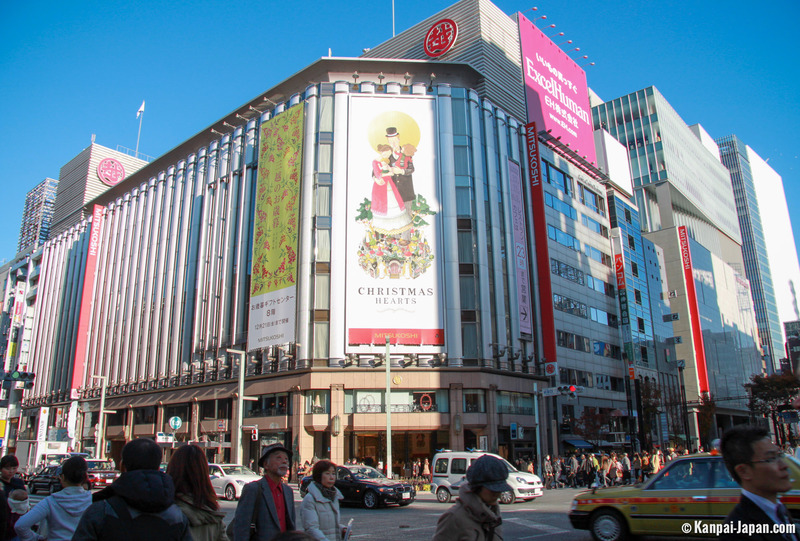 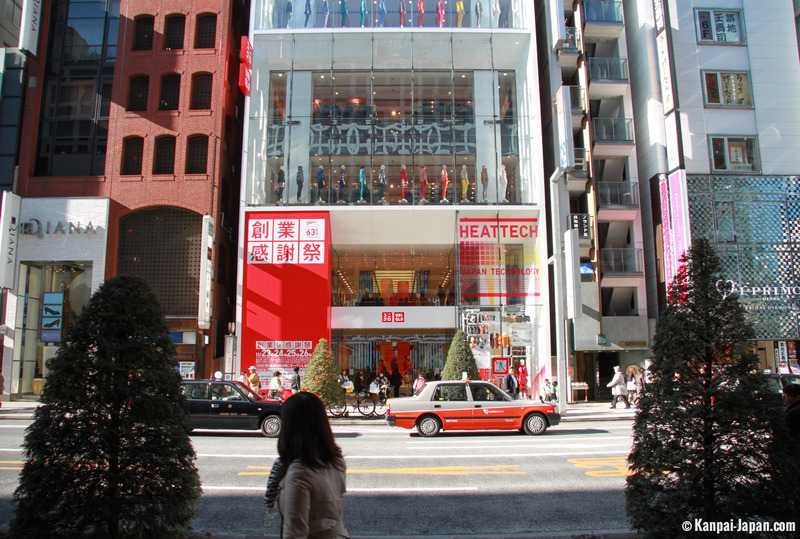 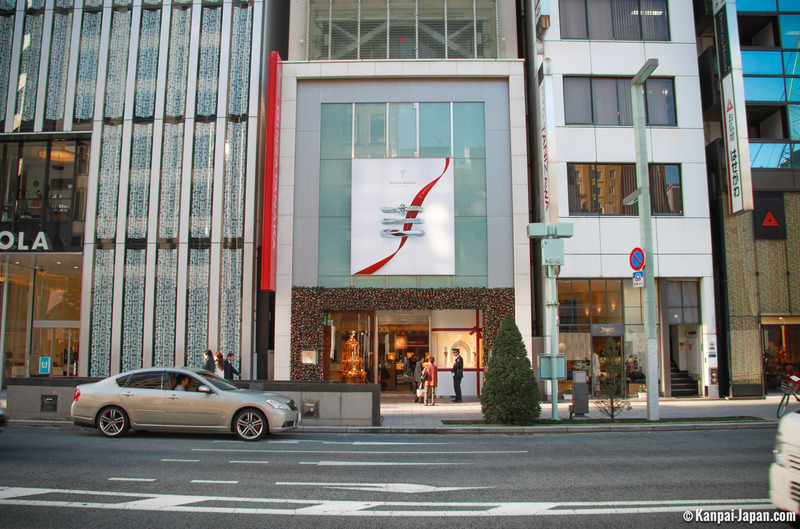 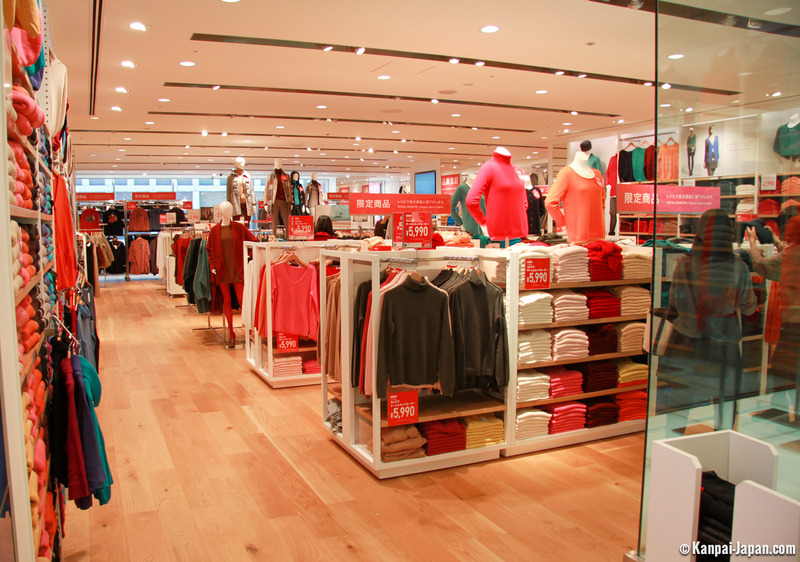 There are a lot of other major japanese brands in Ginza such as Mikimoto, Shiseido, Sony, Matsuzakaya, Uniqlo, Mitsukoshi, Matsuya, Yoshinoya, BicCamera, Muji and Sofmap, as well as several major banks such as Mizuho Japan or Citibank. 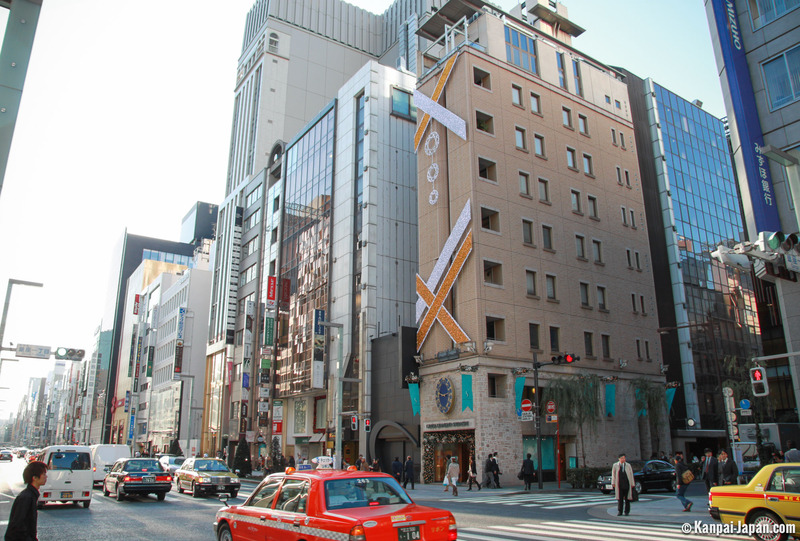 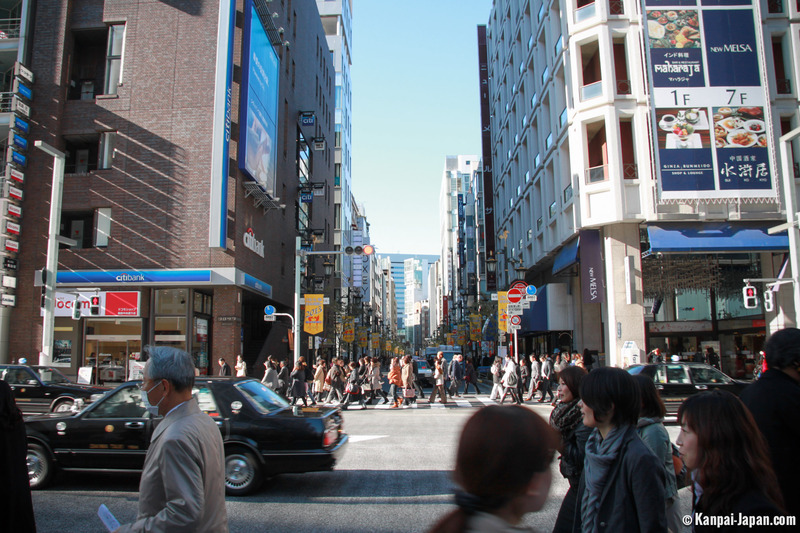 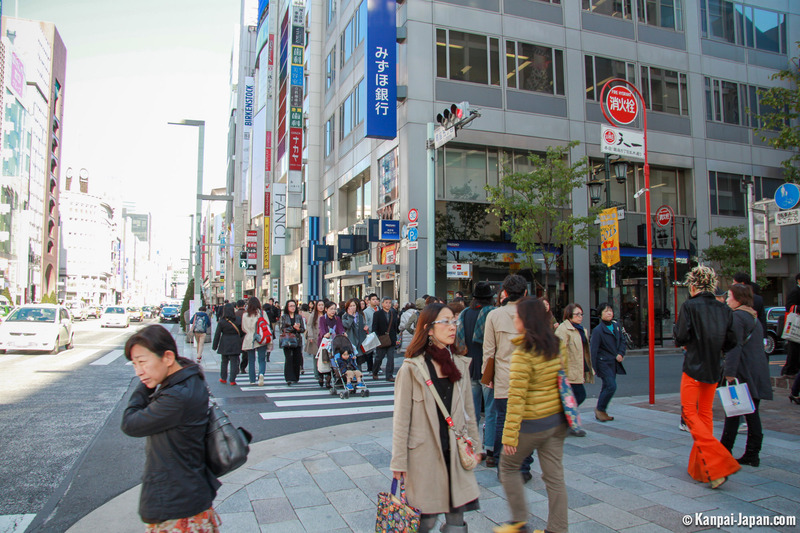 Ginza's visit is perhaps even more pleasant on weekends, as Chuo-dori (the main street) is closed to traffic from 2 to 5pm on Saturdays and from noon to 5pm on Sundays, and even up to 6pm in spring and summer.